Baird Capital's Melissa Mounce, Principal, Human Capital, recently sat down with RHR International to discuss assessing talent for small transformation and change readiness. You can read on for the story below, or visit RHR International’s PE blog here. 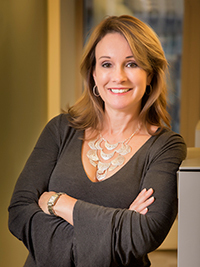 RHR International works with Melissa Mounce, human capital leader, Baird Capital. Baird Capital created her role because human capital has such a profound effect on a portfolio company’s potential and success. Melissa partners with investment team colleagues and their companies across its portfolios to build talent strategies and teams to drive value and growth. Baird Capital makes venture capital, growth equity, and private equity investments in strategically targeted sectors globally. Baird Capital has raised and managed more than $3.5 billion and invested in more than 300 portfolio companies with a focus on healthcare, industrial solutions, and technology and services. Throughout her career, Melissa has been a global business strategist, emerging market business developer, business process management consultant, global operations/outsourcing leader, and talent management leader at a variety of high-profile companies. She is recognized as much for her pragmatic business acumen as her ability to effectively influence organizations and improve business performance by appropriately optimizing talent. She is a frequent public speaker and panelist on private equity human capital and talent management. Her thought leadership has appeared in white papers and periodicals such as The Wall Street Journal. Melissa currently serves on the board of directors of R2i, a Baird Capital portfolio company. She also serves on the advisory board for ASCEND, Baird’s internal associate resource group that aims to attract and retain women at all levels of the firm. She has an MBA from Northern Illinois University and has participated in International/Global Studies at Université Stendhal (Grenoble III). She is an active member with the Guild Board of Directors at Lyric Opera in Chicago. RHR International’s senior partner Grant Levitan spoke with Melissa about Baird’s approach to assessing talent for transformation and change readiness, and why these assessments resonate with colleagues. Grant: What do you look for in a talent due-diligence assessment? Melissa: There are three primary things we look for in our talent due-diligence assessments. First and foremost, I believe that to compare, contrast, and evaluate the companies that Baird is considering for investment, we need a taxonomy that enables a transparent, common classification system that is understood by all. That taxonomy is rooted in the use of a consistent methodology and our commitment to applying that same methodology every single time. Because our teams are so familiar with these apples-to-apples methodologies, they’re comfortable turning to them first rather than seeking new and different approaches. Second, we rely on specialized professionals with industrial-organizational psychology capabilities and relevant experience to interpret the talent due-diligence assessment findings. Finally, we collaborate with RHR because they provide the objective perspective that our investment teams lack when considering targeted acquisitions simply because they’re inherently biased toward the deal. Grant: You value a consistent taxonomy, yet you also customize and adapt assessments to each individual, company, and situation. Why? Melissa: We’ve never believed that five specific attributes make a CEO successful, because the requisite characteristics will vary based on factors such as diverse markets, geographies, corporate culture, and the company’s maturity. Baird’s approach is appreciating the value of both standardization tools and customization of the situation, hence our reliance on standard but customized assessments. Our standardized assessment tools provide the building blocks, but we tailor them to the individual executives, companies, and their unique situations to ensure they are relevant. Grant: How do you customize your assessment tools for exceptional individuals facing complex situations? Melissa: Before we customize our assessments, we carefully consider our plans and end-goals for the company. We can then identify what we’ll need from the executives to reach those targets in terms of cultural fit, expertise, skillsets, and the executives’ experience. Our customized assessment tool may show us that the senior leaders already have the relevant expertise and experience as well as the perfect attitude, they just haven’t had the opportunity to apply them in the current environment. It may also indicate they lack the attributes required to take the company in a different direction and to the next level. Grant: How important is culture when assessing a company’s executives and their willingness to partner with Baird? Melissa: The assessment tools are designed to tell us how a company and its employees at all levels will react to change for the sake of transformation and whether the company’s leadership team can take it from this inflection point to the end-goals set out by Baird. Baird’s partnership model means we’re with the companies throughout the process. As a private-equity investor, Baird’s “path to value,” which was developed to support the success of its companies and their leaders, is about partnering for small “t” rather than big “T” transformation. Small incremental changes and enhancements rather than massive change may be all that’s required to alter an outcome, but that doesn’t mean the executive team will be open to it. Baird rarely, if ever, asks a company to completely change their business model. However, we inevitably ask executives to make adjustments, and their perspectives on their company’s culture tell us how receptive they’ll be when the time comes. On occasion, we know something is off, but we need the assessment tool to tell us exactly what it is and whether it’s a showstopper or it can be addressed. Grant: What is the most valuable part of the assessment process? Melissa: Our post-assessment conversations internally and with RHR are incredibly valuable and an integral part of our assessment process. The written reports are important, but they simply present the facts. The conversation, on the other hand, encourages a layered, multidimensional evaluation. Together, we really dig into the data and look at how certain characteristics could impact specific scenarios and what risks they might present. The completed assessments help us size up the executive(s) potential and risks relative to our value creation strategies. Our goal isn’t to derail an investment; rather, we are looking for solutions and ways to mitigate risks, if possible. These highly interactive evaluations ensure that the Baird team’s perceptions of the data are aligned and that we’re all seeing the results the same way. It allows us to build consensus and walk away with a shared understanding—that’s invaluable. Grant: What are the various forms of due diligence that you routinely engage in when investing in portfolio companies? Melissa: In addition to human capital due diligence, we perform extensive due diligence in areas such as market, financial, and legal. However, we do believe a company’s human capital is one of the most important factors that impact its ability to achieve its true potential and ultimate success. As a result, we believe our firm goes well beyond the typical human capital due diligence in effort to ensure the company has the talent required to reach our goals. This resonates with our investment colleagues who have a heavy financial focus. The question we want to address is, does the existing team have the skillsets, expertise, and experience required to apply the new and improved strategies that will take the company to the next level? Their readiness and capabilities may indicate the executive team requires development or new talent, all of which will have a measurable, quantifiable effect on everything from timelines to budgets and the bottom line. Grant: How does Baird assess the executives’ and the company’s change readiness, both of which are integral to the overall organizational effectiveness? Melissa: We assess their change readiness, using one-on-one interviews and a standard framework to determine the company’s maturity in various areas. Once we confirm the foundation is in place, we need to identify gaps so we know what we need to shore up before overlaying new initiatives. Grant: How does Baird assess the four pillars that most impact change readiness: organizational structure, talent, operating culture, and change readiness itself? Melissa: Baird creates customized templates and questions for each pillar. In one-on-one interviews with various executives and employees, we’re looking for consistent answers to identical questions from the various individuals. If we don’t get consensus, we know there is a fundamental disconnect in how the company, its culture, maturity level, and operational effectiveness are perceived internally. Grant: How much manpower and time are required to conduct these organizational assessments? Melissa: Typically, I partner with a consultant to conduct the 45- to 60-minute, one-on-one, on-site interviews, which generally take one (and up to two) full days. Because we want them to answer the questions as candidly as possible, we don’t share the interview questions with the subjects ahead of time. People being assessed tend to be very forthcoming, cooperative, and informative because they appreciate the fact that a private equity firm is interested and taking the time to really understand their organization. They want to be heard! These interviews create a sense of respect and inclusiveness. The executives and leadership teams become a part of the process and recognize that we customize our approach and business models rather than simply replicating what we do company to company. Grant: From your perspective, what is the biggest payoff with organizational assessments? Melissa: The organizational assessments help determine the company's current capabilities and tell us how we need to develop and position the company for future success. Baird’s goal is the creation of immediate growth and value. But, prior to any investment, our due diligence depends on organizational assessments to provide clarity on the actual state of the company. The organizational assessments may indicate inadequate foundations that require shoring up to support our initiatives. Unless Baird gives the leadership, infrastructure, systems, and processes the attention they warrant, we’ll face inadequate traction and progress down the road. Immediate gratification is rare, and the reality is that Baird often devotes significant dollars and many months to closing the foundational gaps and carefully positioning a company for the future.